Most Florida employers are required to have workers’ compensation insurance. Therefore, if you suffer injuries in the workplace, you expect that your employer will file a claim and pay for your medical bills and other expenses. This isn’t the case for illegal immigrants, however. Under Florida law, employers have the right to use these undocumented workers for cheap labor and then dump them if they become injured. This 2003 law punishes immigrants who are legitimately injured but have used a fake ID or Social Security number in order to secure employment. These workers expect to receive workers’ compensation benefits should they suffer a workplace injury. Instead, they are arrested, put in jail and often face deportation. All the while, they must still pay these medical bills on their own. 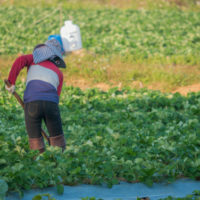 There are approximately 600,000 undocumented workers in Florida alone. Many of them work in dangerous occupations such as construction and farming. Injuries are common in these jobs, so once they are injured, they are on their own. Since 2006, 163 immigrant workers have been charged with felonies for providing employers with false identification. More than 80 percent of these workers had worked for staffing agencies that had specifically recruited these employees. The irony of this is that the same law also makes it a crime for employers to knowingly hire workers who are using fake identification. A Social Security number can be easily verified, but many employers skip this step. Since the law was passed 14 years ago, though, only one employer has faced prosecution. The 2003 law also makes it a third degree felony to fraudulent obtain a job or benefits through false documents. It kept the previous law in place, allowing all workers to receive injury benefits. At the same time, though, companies were allowed to deny benefits to injured undocumented immigrants. Unfortunately, illegal immigrants are taken advantage of by employers. Many employers actually prefer to have undocumented workers as employees because of their work ethic. They are good workers who hardly ever complain. Plus, they are willing to work for a lower wage than most American citizens. For more than 30 years, employers have been required under federal law to prove they can work legally. They must sign a form and provide verification through documents such as green cards and Social Security numbers. Businesses in Florida, however, are not required to use the federal E-Verify system to prove that the documents are legitimate. Illegal immigrants become disposable to employers once they become injured. Because these employees are in the country illegally, they provide false documentation in order to secure employment. Instead of verifying this information upon hire, companies tend to take advantage of these workers. Employers should bear the brunt of paying for workplace injuries, regardless of the workers’ immigration status. If you believe you should be entitled to benefits for your workplace injury, Contact the Law Office of Michael Lawrence Varon in White Plains to learn about your legal options. Call his office at 914-294-2145 to schedule a complimentary consultation.